BOSTON--(BUSINESS WIRE)--ObserveIT announced today that Info Security Products Guide, the industry's leading information security research and advisory guide, has named ObserveIT as a Gold winner of the 2015 Global Excellence Awards in Forensics, and a two time Bronze winner for Database Security, Data Leakage-Protection/Extrusion Prevention, and Risk Management. 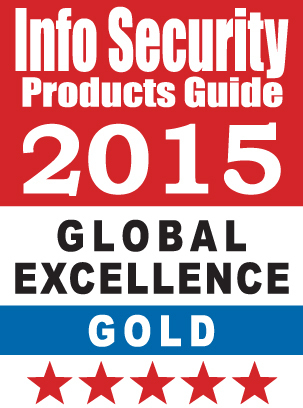 The security industry celebrated its 11th Annual 2015 Global Excellence Awards in San Francisco by honoring excellence in every facet of the industry including products, people behind the successes and best companies. As a pioneer in user activity monitoring, ObserveIT is the only security software company that provides behavioral analytics, alerting and bullet-proof forensics to effectively address the growing risk of user-based threats. ObserveIT capture all user activity regardless of the environment, provide video like replay, and user activity logs that makes it easy to search, analyze, audit and act upon user behavior. ObserveIT, a pioneer in User Activity Monitoring, provides a user-centric approach to IT security. Our solution offers tailored analytics, alerting and bullet-proof forensics to help companies address the fastest growing security risk, user based threats. ObserveIT is currently in use in more than 1,200 companies in 70+ countries. Visit www.observeit.com for more information.